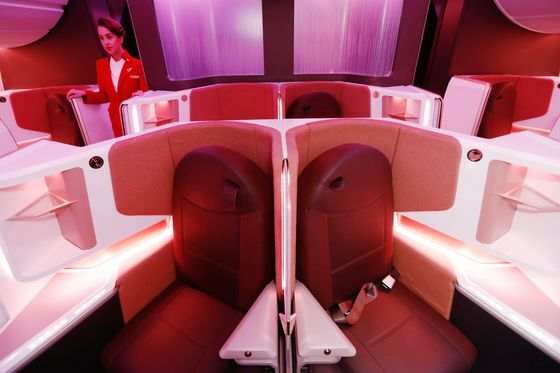 (Bloomberg) -- Virgin Atlantic Airways Ltd. has ditched its flying bar in favor of family-friendly sofas on a new fleet of Airbus SE A350 jetliners. The so-called Loft lounge will feature a 32-inch television screen and bluetooth headphones, with passengers able to order food and drink as they relax on the red leather seats. The long-time Virgin feature of a saloon area is gone, though, marking a departure for the airline credited with reviving the communal in-flight tipple. Virgin installed a cocktail counter for premium customers years after the concept’s 1970s heyday, and while a handful of other carriers followed its lead the bar has remained closely identified with an airline that sought to make its name by bringing back some of the glamor and excitement of flying. 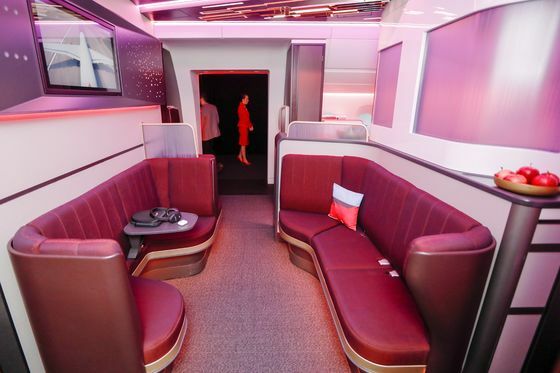 Virgin’s revamped Upper Class cabin will also provide passengers with privacy screens and an 82-inch bed. 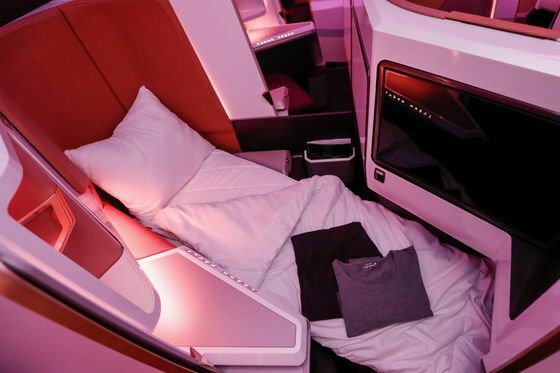 The makeover comes weeks after IAG SA’s British Airways unveiled a private door for its business seats in the battle to lure well-heeled customers in a trans-Atlantic market that’s the most lucrative in the world for corporate travel. The first of Virgin’s 12 A350-1000s is slated to link London Heathrow with New York’s John F. Kennedy International airport from August, with the rest of the fleet set for delivery through 2021. The airline showed off mock-ups of the cabin layout on Monday at its headquarters in Crawley, south of London.